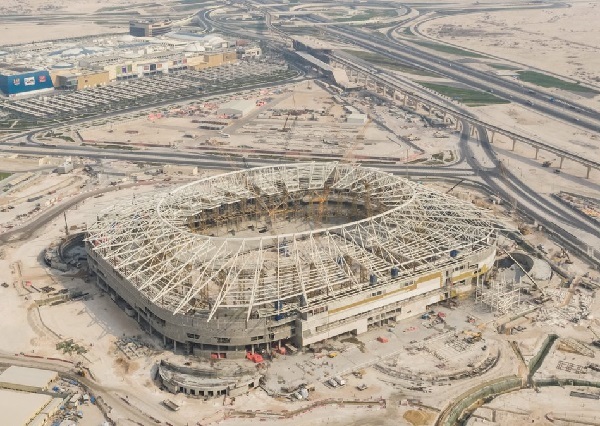 Al Rayyan Stadium Arena, one of the key venues for 2022 FIFA World Cup, is on the schedule of completion and it’s construction work will be completed by the time set by world cup local organizing committee in Doha, Qatar. This stadium is built up on Ahmed Bin Ali Stadium and now it will be known as Al Rayyan Stadium. The Al Rayyan stadium will have 40,000 capacity after it’s final built up. The venue to host 22nd FIFA World Cup matches upto quarter-final stage. Hence it’s gonna be a crucial venue in prospects of the tournament. Qatar culture, architecture, desert and all belonging aspects to the nation, have been introduced in the development of grounds for football’s gala event in November-December. If we look at closely the under-construction pictures shared by Supreme Committee on the social media site, we’ll find how workers and members are putting efforts to construct a reliable, beautiful and sustainable Al Rayyan stadium. 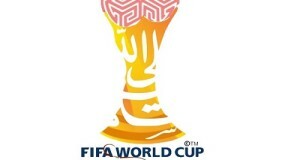 Islamic architecture can be found in the development and construction of 2022 world cup stadiums. The fact is Qatar is known as an Islamic country and millions of Muslims live in it. 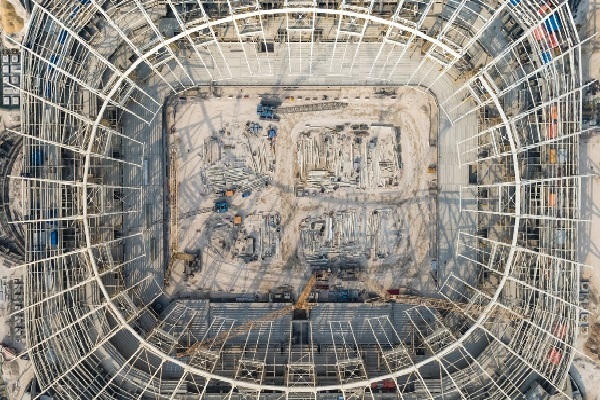 Hence the geometry of Islamic architecture can be seen in the latest pictures of under-constructed stadium in Al Rayyan. At least half of the stadiums modular seats will be donated to around the world for football projects development. And Rayyan arena venue could be one of those stadiums. 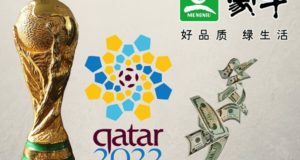 The 2022 world cup to be played from 21st November and it will conclude on Qatar Day; 18th December. Will Kieron Pollard be part of West Indies squad for 2019 world cup?